Wagner, one of our most distinguished wildlife biologists, is a strong critic of ecological practices in the national parks. This book provides an assessment of the ecological history of Yellowstone's northern range, since before the park existed, showing the impact of US Park Service policies on the health of the areas they oversee. He demonstrates that elk had been historically rare throughout the region and that overgrazing by elk has seriously degraded the landscape and altered the structure of the area. This is a major contribution to reconstructing the ecology of this region over the course of the past 500 years. It is also a critique of US Park Service management policies and their stewardship of the nation's most cherished natural areas. Wagner's book will generate substantial attention and debate both in the scientific and policy/management communities. contrary to...the goal of restoring and maintaining the natural state of the northern range.' Scientists and managers who have followed the northern range controversies will want to read this book. 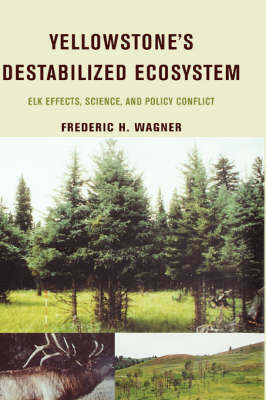 Students interested in science-policy interactions would find it valuable to read Wagner's book."